The style conscious woman knows that a wardrobe built of classic timeless pieces is the guaranteed way to ensure you remain stylish all year ring, and this minimal yet sophisticated Hugo Boss Ladies' IP Whisper watch is the ideal fashion accessory to complement those classic fashion looks. 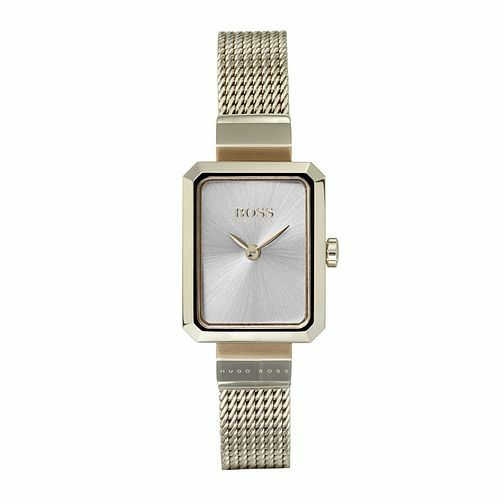 With it's simple square watch dial featuring the gold tone hands, and gold tone outer dial and finished with the textured mesh straps. This watch is impossibly sophisticated and a symbol of true beauty.